Vintage Art Drawn Old Card. 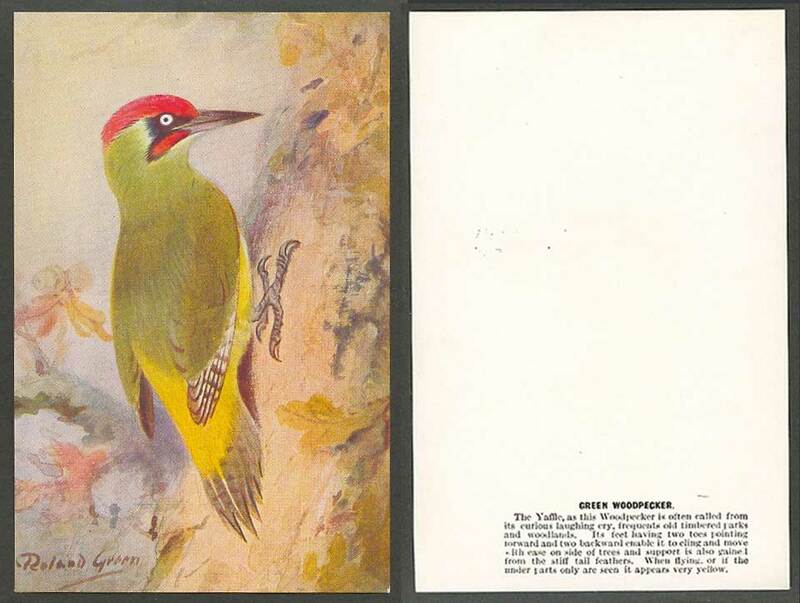 Green Woodpecker Bird, Roland Green Artist Signed. The Yaffle, as this Woodpecker is often called from its curious laughing cry, frequents old timbered parks and woodlands.